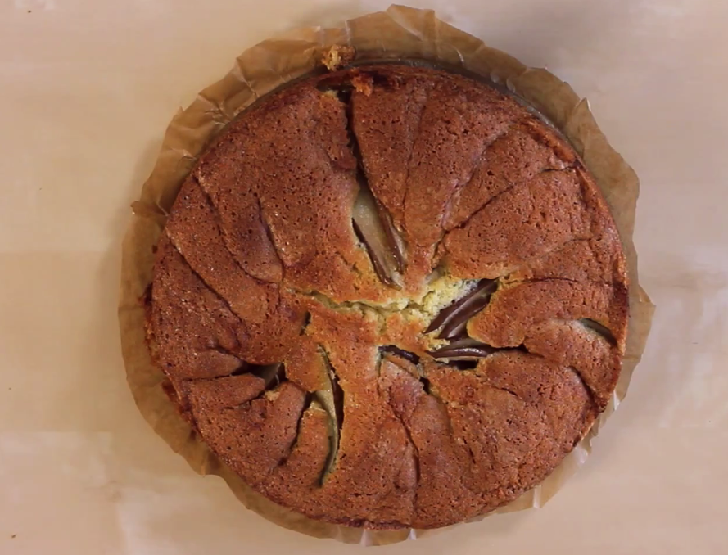 This pear and ginger cake is perfect with whipped cream or créme fraîche. Enjoy a snack with a good cup of tea, it is ideal to indulge in a little pampering. It can be served hot or cold, but it would be preferable to consume it the same day, or at most the next day, to taste all the fragrance. 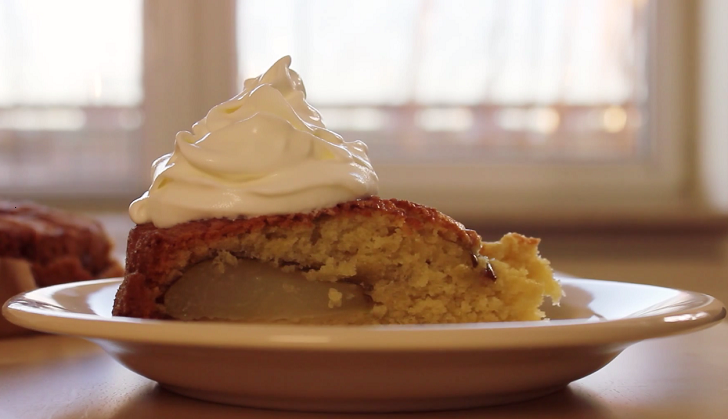 To make the cake with pear and ginger, prepare the pear compote first. Peel the pears, cut into cubes and cook with butter and sugar for 5 minutes on high heat until they are caramelized. Drain the juice and keep aside both the pears and the syrup. Work the butter and the sugar with a whisk until a frothy mixture is obtained. Add the eggs, one at a time, continuing to work with the whisk. Now add the flour and baking powder, sifting it a little at a time alternating with the syrup that you have made from the pears. If the mixture is too hard, soften it with a little milk. Finally, add the cooked pears and all the spices to the cake mixture and mix gently until the whole is well incorporated. Pour the mixture into a well buttered and floured cake tin and bake the cake in the oven at 180° for about 45 to 50 minutes (always do the toothpick test before churning out).